The phone hasn't even been announced yet. There's still over a week left before LG launches its newest flagship phone, but we know two things for certain: First, the G5 has an "Always On" display, and second, you will be able to get a Quick Cover case for it. The Korean company has announced that it's releasing a touch-enabled case for (in its own words) a "smartphone that does not officially exist" yet. LG says the cover is wrapped in "a unique film with a glossy metallic finish" for a luxurious feel. Also, you'll be able to take calls and control the alarm settings through its semitransparent mesh material, without having to open the case. 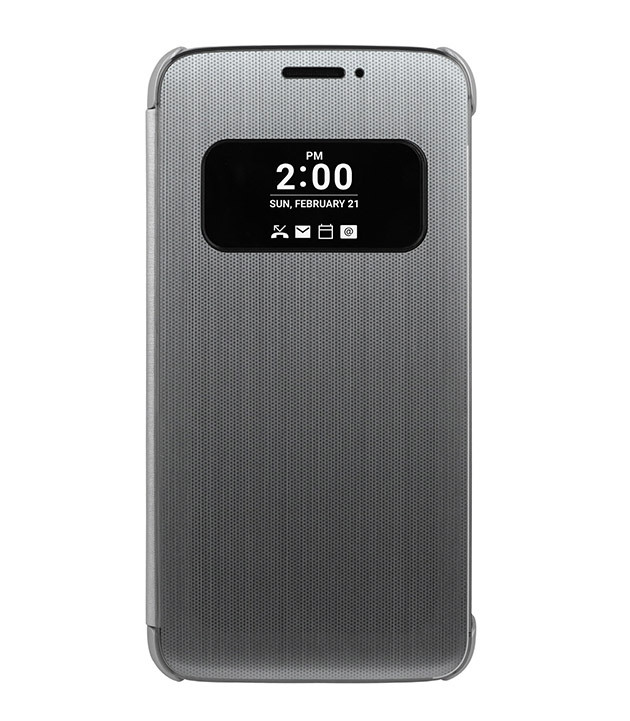 Like previous LG Quick Covers, it has a small window that shows a part of the screen. For the G5, it's the part that shows the date, time and notifications on the Always On display. The company didn't mention how much it'll cost you on top of the phone itself, but that might be one of the things we'll find out on February 21st. Both the G5 and the case will also be on display at the Mobile World Congress in Barcelona, Spain on February 22nd to 25th.